This cannabis is gorgeous. Just gorgeous. 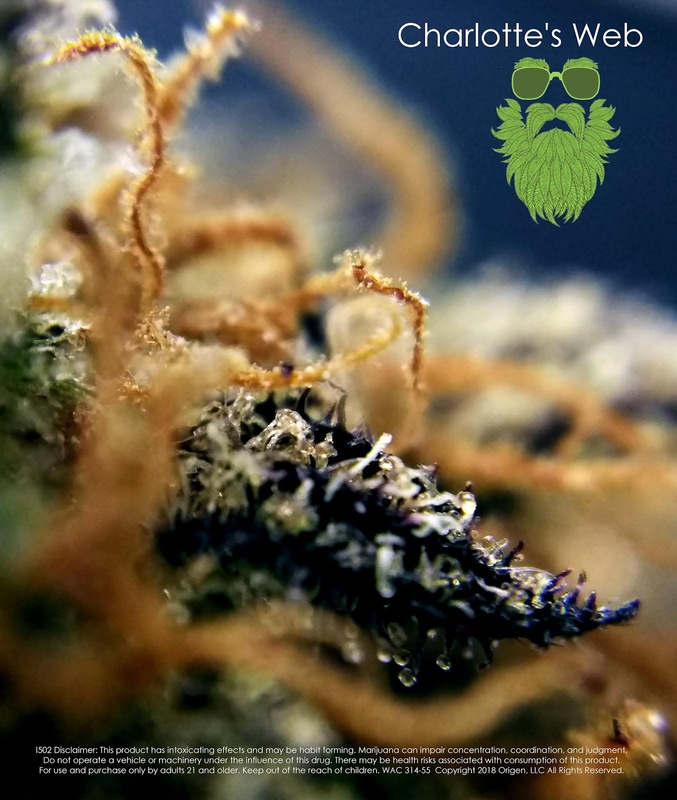 The buds are big, with this amazing combination of forest green, dark royal purple, and the bright orange hairs - not to mention the veritable glow of the trichomes on this frosty cannabis. Aromas here are complex, starting with a rich muskiness that becomes a sharp skunky overtone when broken down. A nice sweet berry aroma rides through the middle with a lilac-berry end. 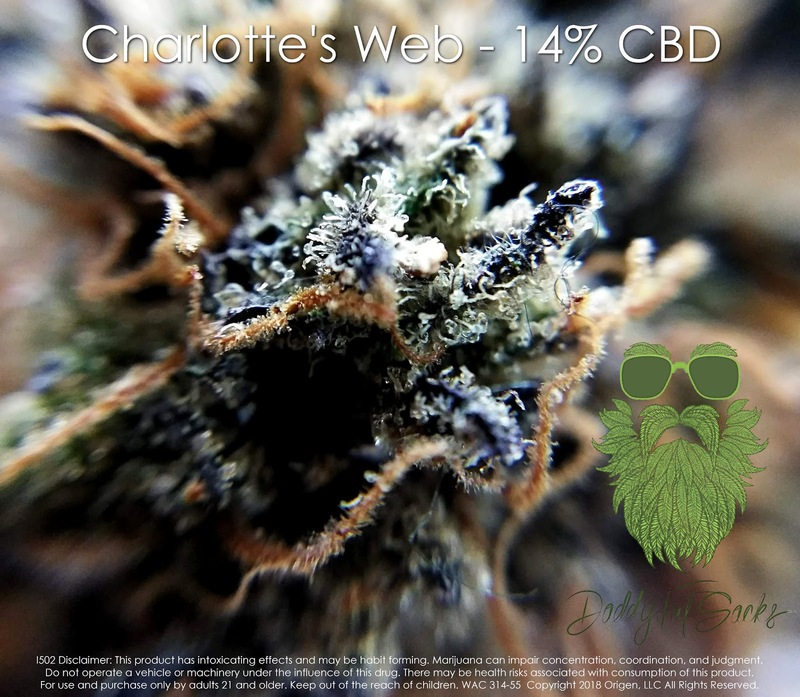 Flavors as well are crazy complex - with sweetness right up front, and a pleasant herbal note throughout the smoke. The bright berry notes and skunky tones shine through at various times while smoking this, and there's a definitely musty-sweetness of myrcene - one of my favorite terps. This cannabis has got 14% CBD, and it definitely feels like it when smoking this. I got really relaxed right away. My head here was happy and bright with a massive uplift. A few minute after smoking, I realized that I was totally focused on the task at hand. While calm, relaxed, and chill, I was also intent on getting this done. Throughout the experience, my physical pains from arthritis and endurance chair-sitting were basically gone completely. Solid pain relief and the legs were long. Overall, this is fantastic cannabis. The aromas and flavors were complex and clean. 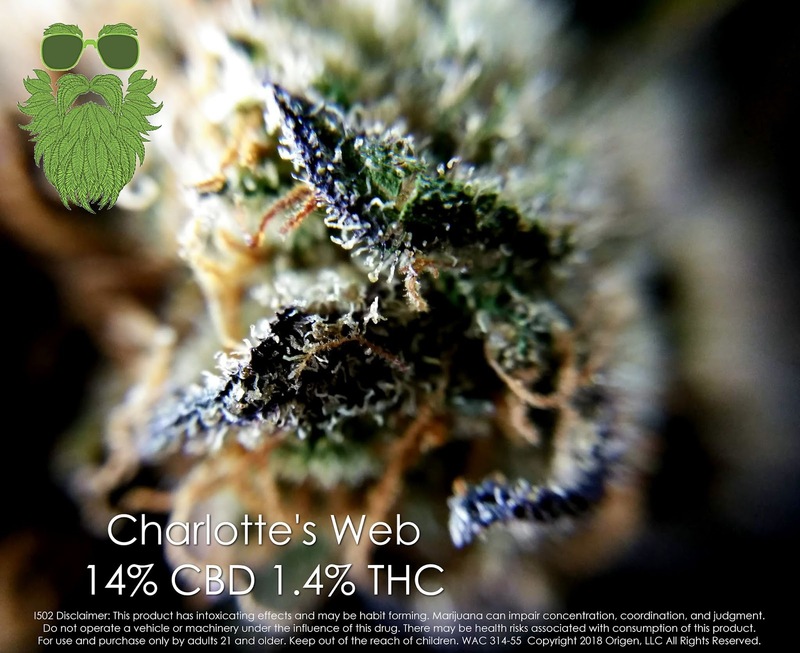 The effects were far more than you could expect from a high CBD strain, with body and mind that made things just right. I have to say, this is the best high CBD flower I've smoked in 2018.